ENDORSEMENTS - A.J. Desmond Thorsson for Congressional Representative of California's 12th District - This Time, For Us! I pledge to bring a bold and balanced perspective to San Francisco and Capitol Hill. I promise to work to get money out of politics and extend America’s Promise from the pockets of the few to the hands of the many. A New Way Forward – A public platform and volunteer structural-reform thinking group to transform politics and the economy for the public good. We want to see a social, economic, and governing infrastructure that leads to opportunity, wealth creation, creativity, and local industry for everyone, including the existence of a vibrant public discourse everywhere. 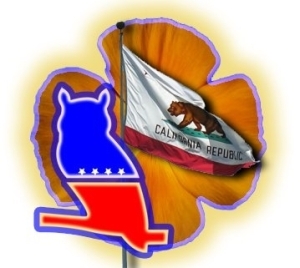 California Whig Party – Rooted in one of the first political parties in America, we are independent and moderate voters who embrace both conservative and liberal ideals. As the fastest-growing mainstream political party, we strive endlessly to reach out to the average citizen who desires a realistic approach to politics. Modern Whig Party – The Modern Whigs are a pragmatic, common sense, centrist-oriented party where rational solutions trump ideology and integrity trumps impunity. Reform Party – Founded in 1995 by Ross Perot, the Reform Party was created to provide an alternative for Americans disillusioned with the state of politics. The Party has nominated many high-profile candidates over the years, including Ross Perot, Pat Buchanan, and Ralph Nader. If you feel as we do, please endorse my candidacy below and join the ranks of those committed to ushering in a new era of governance.